In Paris, Ladurée is serving monochromatic macarons in a variety of flavors. In the brightly colored world of macarons—the pastel French cookies that frequent your Instagram feed—those sold at Ladurée in Paris are considered by many to be among the finest. The iconic pastry shop, founded in 1862 by Louis Ernest Ladurée, is now giving its signature confection a fun twist—and an entire pop-up shop devoted to the element of surprise. Ditching its signature rainbow of pastel hues, Laduree's new shop will offer only one color of macaron: beige. According to Marie Claire France, a temporary pop-up shop has opened next to an existing Ladurée location, serving monochromatic macarons in a variety of flavors. 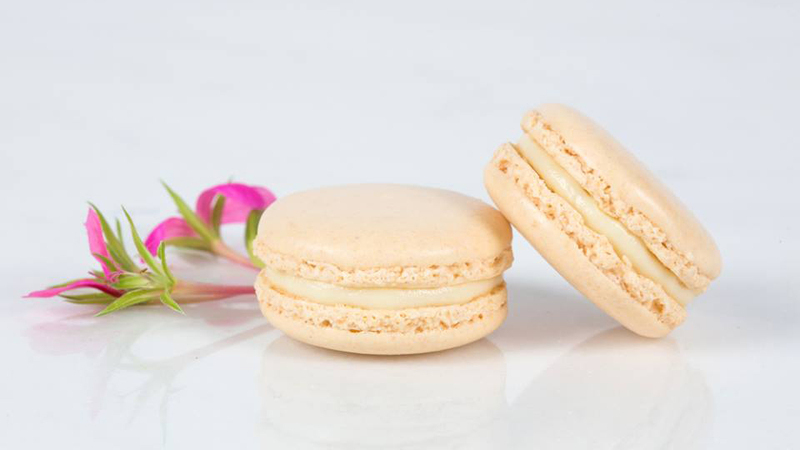 In an aim to surprise customers, the identical macarons are in fact not identical in taste—though customers won't know which is which until they take a bite. Customers who fancy this guessing game can purchase the mystery macarons in sets of six or 12, with the possibility of finding chocolate, pistachio, rose, vanilla and other flavors of the airy cookies. For anyone intrigued by the idea of a surprise mix of macaron flavors, the pop-up is open now at 21 Rue Bonaparte in Paris. Or, to create your own macarons (with a non-mystery flavor), check out Francois Payard's recipe. Do You Know the Difference Between a Macaron and a Macaroon?